Programming under construction and subject to change. Thiago Abreu is graduated in Electrical and Electronic Engineering from UERJ, is post-graduated in Networks and Video Over IP from UFRJ, is a MBA in Business, Management, Marketing and Related Support Services from UFRJ and Audencia Nantes, and is also a PMP. An enthusiastic in File-based Archive and MAM system for production content, he has a solid experience in project management, broadcast systems, file-based workflows, archive and cloud systems. Eleven years of experience in Television and Broadcast Systems, currently working as Project Manager of Technology at Rede Globo. José Antonio Garcia graduated in 1975 as an Electronics Technician by ETE in Sta. Rita do Sapucaí, Minas Gerais, Brazil and, in 1982, in Telecommunications Engineering at São Judas University in São Paulo. He has worked in several television networks, including TV Tupi/SP, TV Cultura/SP, TV Jovem Pan. Currently, he is the manager of TV Engineering at EBC (Brazil Communications Company and he is the coordinator of SET´s IP Study Group. 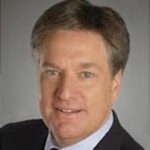 VP at FOX Networks Engineering & Operations Advanced Technology Group, performs research, testing, evaluation, PoC development, standards development, and technology evangelism for file based workflows, live IP production, FOX’s Emmy Award-winning HDTV satellite distribution system, encoding/transcoding, 4K/HDR/HFR, VM/cloud solutions, and Internet streamed video. Represents FOX NE&O in SMPTE, VSF, IEEE, ATSC, Ultra HD Forum, UHD Alliance, and Streaming Video Alliance. 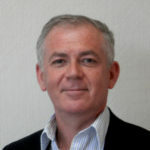 Steve Reynolds, Deputy Chairman of the Board at the Alliance for IP Media Solutions (AIMS). 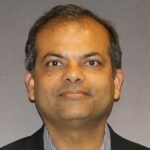 Pradeep Kathail is the Chief Software Architect, Core Software Group & CTO Connected Car BU at Cisco. Broad background and expertise in enterprise and data center infrastructure, large distributed system design, edge/fog computing for IoT, trustworthy systems and security, deterministic networking, live video production, connected cars, software development lifecycle and effective collaboration skills. Montgomery Scott (Star Trek) famously said, “You’ve got to use the right tool for the job, lad.” This session takes this lesson to heart. We’ll examine the needs of audio and video separately, discussing how open standards represent different opportunities to each trade and how they cooperate with private solutions – each being the “right tool” in different situations. Simple network infrastructure structural models will also be shown that lend themselves to quick maintenance by the teams that operate the A/V systems. Patrick Killianey brings over 20 years of experience crossing live production, recording, broadcast, installed sound and automation. His perspective combines the best practices from vastly disparate markets and crosses the chasm from theoretical ideals to practical implementation. 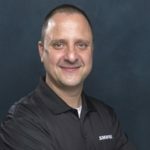 At Yamaha, Patrick is an internal expert and champion for control and audio networking technologies, leading education initiatives and assisting in key installations. He recently finished a video series on Networking Fundamentals for Pro Audio as well as the Introduction to AES67 available now (for free) on Yamaha Commercial Audio’s YouTube channel. amps/speakers, recording, DSP and installed systems..
the AVnu Alliance (AVB) contributing thought leadership and training at cross-promotional events. scaled to the thousands of networked audio connections. After a brief presentation of the companies, this panel will have the form of a direct conversation with the public, in which the participants will respond objectively to the questions. The focus of the discussions will be the services offered, their capabilities, technical and operational characteristics, values and options. José Frederico Rehme is director of SET Education Department, Coordinator and Professor of the Electrical Engineering and the Energy Engineering courses at Positivo University, and Engineering Director at TVCi. Tom Jones Moreira de Assis is Application Engineering Coordinator at Tecsys Brasil. 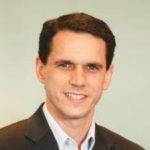 Rodrigo Campos is the Managing Director of Eutelsat do Brasil. 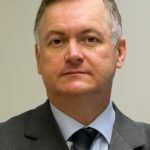 He is the head of the Brazilian operation, responsible for the development of Eutelsat’s commercial efforts aligned with the group’s general strategy in Brazil. With over 20 years in several leading positions in the satellite industry, Rodrigo is a leading specialist in satellite communications. A new line of Gallium Nitrate based Solid State Power Amplifiers enables high order modulation techniques over satellite video links, with major cost reduction, and fiber-like performance. Cristi Damian has been involved for more than 25 years in Advanced Satellite Communication Technologies. He has extensive expertise in Solid State Technology for SATCOM power amplifiers, and advanced SATCOM modem technology. Since 2010, he is in charge of Advantech Wireless Technologies new line of Gallium Nitrate Power Amplifier Line of products. This truly disruptive technology won numerous prestigious international awards since 2014, including WTA Teleport Technology of the Year, for the deployment of two state of the art Satellite Broadcast Teleports in Brazil . These Teleports achieved the the first world wide Ultra HD 4K Satellite Broadcasting transmission of a major international sport event back in 2014. Content consumption has changed drastically in the last several years, with viewers clamoring for content to be available at anytime, anywhere and on any screen. There are so many ways in which viewers have access to their content that it has been difficult to justify business cases that satisfy their appetites. To meet the demands of media consumers, programmers need reliable and flexible solutions, but most of all, they need efficient and cost effective ways to contribute and deliver content. Discover how Intelsat meets those needs with high throughput EpicNG satellites, managed services and future innovative blended networks. Marcelo Amoedo is a telecommunications professional with 17 years of experience in the areas of television, satellite communications, video compression and systems transmission. Worked as sales and business development manager for STI Telecom and as Account Manager for MB Skytech. At Intelsat, is responsible for the commercialization of full time and occasional use space segment and broadcast services. Post-Graduated in MBA of Digital TV, Broadcasting and New Media of UFF – Universidade Federal Fluminense. 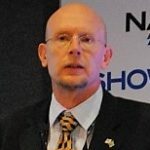 Jurandir Pitsch is vice-president of Sales and Market Development for SES Video for Latin America. Jurandir is a telecommunications engineer with more than 35 years of experience in the field of satellites. Industry 4.0 is already here. It is an ongoing revolution brought about by the confluence of various technologies that are changing the world, from new business models to the way we live in society. The impact will be much greater than in previous industrial revolutions. Its extension gave the size and especially the speed of the changes is something never witnessed by the humankind. And if every change presents risks and opportunities, these aspects are more present. How can we seize opportunities, how can we prevent risks? Are we prepared for these changes? What can we expect in the next few years? 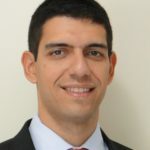 Luciano Possani is an electronic engineer at the Polytechnic School of the University of São Paulo, with an MBA from the School of Economics and Administration at USP and a specialization from the Stanford Graduate School of Business. He has served as an executive in the areas of technology and innovation in service, media and education companies for more than 20 years. He currently holds the position of Director of Innovation for Globosat. Fundadora da AD Digital, entrou no mercado de Mídia e Entretenimento em 1994. É palestrante convidada nos principais eventos relacionados com a criação, gerenciamento e distribuição de conteúdo para compartilhar sua visão sobre mercado e tendências de futuro para a indústria. Há mais de 10 anos compõe a mesa diretora da SET e atualmente é diretora de Marketing da entidade. 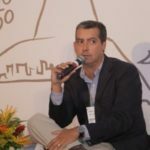 Fabio Souza is a technology executive who started his career as an entrepreneur, moving to consulting services, and most recently holding various market facing positions in service providers, including DirecTV Group, NET Brasil (part of America Móvil) and GVT (acquired by Telefonica). 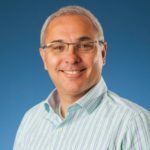 At Cisco since July 2015, Fabio is part of the transformation team of the Video Business, managing video processing go-to-market, consumer trends, technology partnerships for both service and content providers. 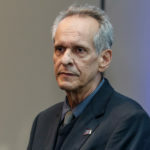 Raimundo Lima has a long career in the Brazilian Television industry, with more than 35 years of activities in several broadcasting networks. He has worked for Diários Associados, TV Manchete, TV Globo (GINY), TV Band, TV Cultura/SP and Esporte Interativo. He held several positions in the departments of Journalism, Sports, Drama, and Entertainment. With a wide academic background, he attended graduation and post-graduation courses at the University of Brasília, PUC-SP and Universidade Federal Fluminense, among other institutions. Currently, he is the director of Technologies and Operations at SBT network. How do new technologies impact and create new consumer and end-user behaviors for video and entertainment? This talk will examine these trends, focusing on the challenges and opportunities of dealing with a fragmented audience across multiple platforms. 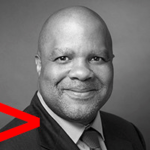 Managing Director / Partner with Accenture Strategy, aligned to the Communications, Media & Technology industry group, with a focus on strategy consulting. Global lead for Media & Entertainment Strategy and Video Strategy consulting practices. Seasoned consultant specializing in corporate strategy & growth, operational strategy and management consulting in the Media & Entertainment, Cable, Telecommunications, Wireless, Technology and Consumer Electronics industries, and for Nonprofit organizations. Clients include global Media & Entertainment conglomerates, TV Programmers & Broadcasters, Film Studios & Exhibitors, OTT & Digital Services start-ups, major Cable TV Providers / MSOs, major Telecommuncations & Wireless Providers, global Consumer Electronics and Hi-Tech OEMs, U.S. Consumer Electronics Retailers, National Sports Leagues and U.S. Nonprofits. Automation will change advertising as we know it, programmatic is the common face of it. Algorithms and pure digital process between advertisers/agencies and publishers are shaping new operation models for advertisement. The use of data for developing better media plans, targeting, and measurement of performance is the new paradigm. To explore this new context and the options ahead we are setting the discussion of this panel bringing the expertise of 3 different panelists on this subject. Raymundo Barros is an Electronic Engineer graduated from the Polytechnic School of the University of Pernambuco. He holds an MBA from IBMEC / SP and a postgraduate degree in networks and telecommunications systems from Inatel. He began his career as a trainee at Globo Nordeste. Director of Engineering of Globo Nordeste and Director of Engineering of Globo São Paulo. In 2014, Raymundo Barros took over the Technology Department of Rede Globo. 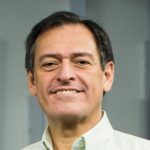 Carlos Octávio is the head of Partnership and Architecture of the Technology Area of TV Globo, responsible for technology initiatives related to Digital Media, Advertising, Analytics, and Architecture. He has solid experience in the Media and Entertainment industry (+ 18 years). 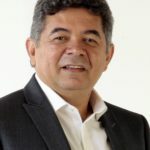 Prior to TV Globo, he worked as a consultant and consulting partner in companies from different segments (Industrial, Financial, Media) and was a professor at PUC/RJ for more than 12 years. Carlos holds a master’s degree in Software Engineering, an MBA in Business Administration from the Dom Cabral Foundation, a post-graduate degree in Administration with an Emphasis in Finance from PUC/RJ and an IT degree from this university. In this talk, digital ads management will be discussed in deph: how to generate revenue with digital ads? What are the main tools? 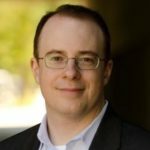 What are the best techniques and methodologies? How to monetize them? 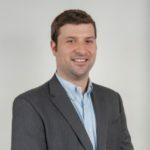 As Vice President, Client Relationships for Freewheel, Geoff Wolinetz is responsible for managing the relationships with Freewheel’s premium client base and helping them leverage Freewheel’s world class solutions to successfully drive revenue for their businesses. 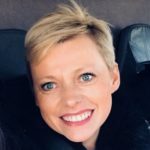 Wolinetz brings an extensive background in digital ad technology to FreeWheel, having spent 16 years at Turner Digital in operational and product roles. 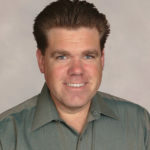 As Vice President of Client Relationships for Freewheel, Geoff Wolinetz is responsible for managing the relationships with Freewheel’s premium client base, including ABC, AOL, DIRECTV, ESPN and NBC Universal, and helping them leverage Freewheel’s world class solutions to successfully drive revenue for their businesses. FreeWheel helps the largest players in the television industry generate revenue from their ad-supported content through a robust technology platform for ad management and monetization, a private marketplace for premium television inventory, and advisory services. FreeWheel’s solutions are used by companies like ABC, AOL, Inc., DIRECTV, ESPN, NBCUniversal, BSkyB, Turner Broadcasting System, and Viacom, Inc. to profitably monetize their professional content on desktop, mobile, OTT, and traditional STB devices. 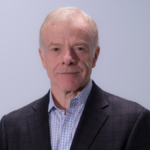 In this presentation, Lorne Brown will talk about the work of Operative, the world’s largest advertising management technology company for television and the digital world. Lorne Brown is CEO of Operative, the world’s leading television advertising management technology company, where he leads the company’s global product and marketing functions. Lorne is focused on providing media companies with profitable advertising capabilities that scale across TV, digital, and more. Previously, Lorne was the founder and CEO of Operative, which was acquired by SintecMedia at the end of 2016. At Operative, Lorne Brown built the leading software company for digital media companies. His expertise in media sales and ad operations grew Operative from an outsourced ad ops provider to a global company whose solutions traffic over $6 billion in digital advertising. Previously, he worked as Vice President of Sales and Operations at several financial services and technology companies, including BCJ Systems and Royal Blue Technologies, where he oversaw implementations and client partnerships for a web-based trading system. 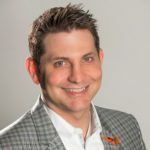 He took the workflow automation knowledge he gained from the finance world and brought it into digital media, creating the first real ad business management platform that spans the process from quote to cash. Lorne has a degree in Finance and Management Information Systems from the State University of New York at Albany. You can find him on Twitter – @LorneBrown. The panel will address the main innovations in products for the audiovisual sector and their positivepact on productivity, production routines and cost/benefit ratio. Will be presented concepts, “roadmaps” and provocations, in addition to the technical details of the tools offered. 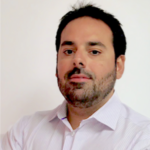 Alexandre Sano is the SBT Engineering Manager and Vice-Director of Events at SET. Graduated in Electronic Engineering from Mackenzie, with a postgraduate degree in Digital TV from the same university and in Business Management and Technological Innovation from ESPM. 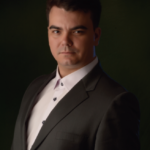 In 2002, he started his activities at SBT and is currently responsible for managing the technical infrastructure of all broadcasting systems in São Paulo. He also works in the development of solutions for continuous improvement of activities. Participates in the activities developed by SET and the Forum of the Brazilian Digital Terrestrial TV System. Hugo Gaggioni is Chief Technology Officer of Sony Professional Solutions Americas, a division of Sony Electronics Inc.
Gaggioni, who joined Sony in 1988, holds several patents and has authored more than 40 technical publications in the areas of video compression, digital filter banks, HDTV and UHDTV devices and systems. Previous to joining Sony, he worked at RCA Corp. and Bell Communications Research. With research interests ranging from digital video and image processing and information theory to video/audio compression and multidimensional signal processing, Gaggioni has served as session-chairman of 15 international conferences in the areas of HDTV, UHDTV, and bandwidth compression systems. He has also given numerous presentations and tutorial courses on signal processing and advanced video technologies at international events sponsored by SMPTE, IEEE, SET, and Eurasip organizations. He was a member of the Advanced Television Advisory group to the U.S. Federal Communications Commission (1987 to 1994). He is a Fellow of SMPTE and the recipient of the 2004 Leitch Gold Medal award for technology leadership. 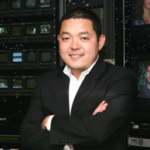 Also, in 2008, he received the U.S. Broadcasting and Cable Technology Leadership Award. 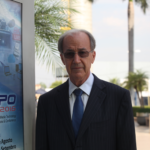 Gaggioni was chairman of the SMPTE technical groups on Digital Representation of the 1125/60 High Definition TV Standard (SMPTE 260M, 88’-92’) and Digital HDTV Serial Interfaces (SMPTE 292M, 93’-96’). He has also chaired the SMPTE group on Editing of MPEG bit-streams for TV studio usage. Gaggioni represented Sony Corporation of America to the ANSI X3-L3 committee and the ISO/IEC MPEG coding group from 1988 to1996. Currently, the size of the content broadcasting market is about $ 430 billion worldwide, while the global online video market is already $ 37 billion, boosted by the popularity of OTT services. It is estimated that by the end of 2018, traditional linear TV and OTT will become interchangeable, whereas, by the end of this decade, more people will watch video over the internet than by any other traditional way. Based on these disruptions, service providers, broadcasters, and content providers are being forced to upgrade their infrastructure to meet the new multiplatform technologies. To make this transition more efficient, it is necessary to use integrated solutions that fill the space between the transmission world and the consumption of multiscreen content. The presentation will focus on the solutions that SES / MX1 offers, including a full range of content aggregators, content management, channel playout, online video / VOD and other distribution services to increase audience reach in any transmission platform. SES / MX1 solutions are delivered through a unified and innovative media platform. The MX1 360 solution has a unique user interface and enables media management and delivery of linear and non-linear content to any transmission platform, VOD or OTT, quickly and efficiently. Gustavo Bevilacqua Dutra holds a degree in Telecommunications Engineering from the State University of Rio de Janeiro (UERJ), a postgraduate degree in Video Distribution over IP by the Federal University of Rio de Janeiro (UFRJ) and an MBA in Commercial Management and Sales at the Pontifical Catholic University of Rio de Janeiro (PUC / RJ). 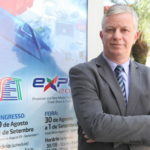 He is currently Director of Sales for the OTT segment of MX1 (SES) for the Latin American market. Previously, he had worked for large companies such as Telefonica, Claro, TV Globo and ATEME, working mainly on data communication, traditional and multiplatform video transmission, Over-The-Top (OTT), VOD, CDN and live events. Switching off the analog TV and operating 4G systems in the 700 MHz range have brought about a huge change in the UHF spectrum, where wireless microphones, wireless feedback systems and the like could operate without much difficulty. New modulation technologies and new features for wireless microphone operation are needed for today to operate these interference-free systems. We will present the current panorama and the new technologies to face this new challenge. 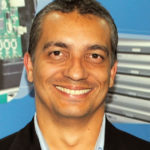 Fernando Fortes is Pro-Audio Market Development Specialist at Shure, Brasil. He holds a degree in electrical engineering and has worked for more than 25 years in the audio industry. In addition to an extensive career with theatrical productions, Fernando was the sound designer for the Opening and Closing Ceremonies of the FIFA World Cup in Brazil in 2014 and audio production manager at the opening and closing ceremonies of the Rio de Janeiro Olympiad and Paralympics in 2016. Fernando Bittencourt is the International Director and member of the Council of Former Presidents of SET. He is an electronics engineer, the founder of FB Consultoria and former general director of Engineering of Rede Globo. He is part of the SBTVD Forum Deliberative Council and is a member of the international entities IEEE, IBC, and SMPTE. In 1994, he became the coordinator of the group created by SET and ABERT that studied and implemented digital TV in Brazil. He was the director of the Social Communication Council of the Brazilian Federal Senate. He is recognized worldwide as an engineer of notorious knowledge in the field of communications. Carlos Fini is an electronic engineer, graduated in 1984 from São Judas University in São Paulo. He holds an MBA in Business Management from the Escola Superior de Propaganda e Marketing (ESPN) and a post-graduate degree in Telecommunications and Networks from Inatel. In TV Globo since 1979, he held the position of Engineering Manager in São Paulo from 1994 to 2012. Among his achievements, the installation of TV stations in São José dos Campos (TV Vanguarda) in 1988, TV Globo São Paulo in 1999 and the digital broadcasting system in 2007. Member of SET since 1988, where he leads the technology board and a member of the Brazilian Digital TV Forum. 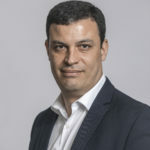 He is currently Technology Director of the RBS group in Rio Grande do Sul and Santa Catarina, where he is involved in the management of TV and radio operations. Lise Cosimi-Breant has a long career at Host Broadcast Services (HBS), the company that transmits the global signal of the FIFA World Cup. 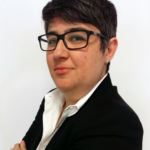 She will discuss the technical, operational and logistic aspects of producing this huge event. It will be a unique opportunity to share knowledge about an activity of global proportions and with an audience of billions of people. Lise Cosimi-Breant is Host Broadcast Services (HBS) Chief of External Relations, the world’s leading provider of sports events. She has six FIFA World Cups on her resume. Lise Cosimi’s early career took in Eurosport, TEAM Marketing and Paris Saint-Germain Football Club. In 1997, she joined the Information & Communications department of TVRS 98, the host broadcaster of the 1998 FIFA World Cup France™. She then joined HBS for the 2002 FIFA World Cup Korea/Japan™. On the FIFA World Cup projects, Lise has been the Head of Information & Liaison for the past four World Cups and remains in her role for the coming 2018 FIFA World Cup Russia™. For FIFA projects, she will become Director of Customers Relations as of January 2019. Lise has also covered various international events like the 2003 Athletics World Championships or the 2006 Doha Asian Games. She is now preparing the Asian Games in Jakarta. Today, In the HBS corporate structure, Lise is Chief of External Relations. She oversees several departments, and acts as HBS Director of CEO Office.